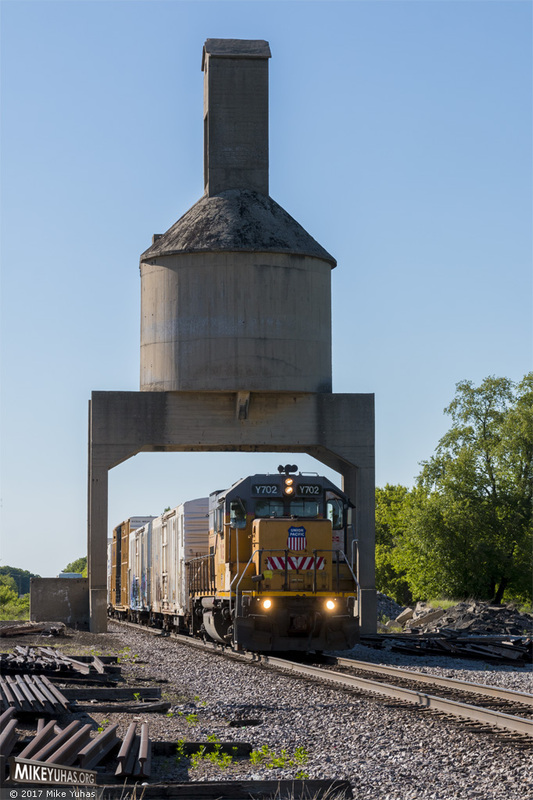 Union Pacific's "Job 18" switches some cars beneath the old coaling tower at Clyman Jct. It's unusual to see this local train this late in the day; the crew is generally called at Jefferson Jct at 0630, but for some reason today the call was at 1230. After shuffling cars here, the train will take off west on the Adams Sub, which is part of their work a couple days per week. There is a locomotive on the other end to make it easy to accomplish their work.